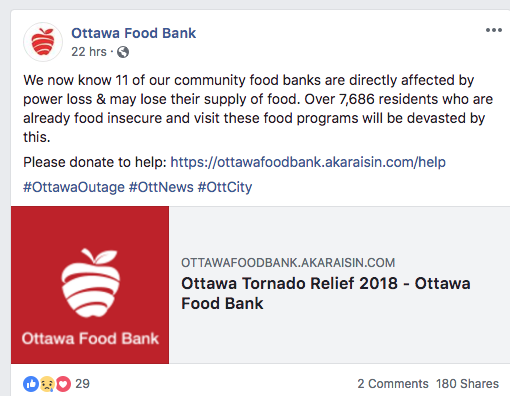 Ottawa Food Bank Requesting Help – Demand increased – Tornados – CharityWishList.ca – Easily connect to charities near you. Donate used items. Update: Machine donated. Thx! Ottawa Valley Wild Bird Centre in Need of Washing Machine – can anyone donate one?